Today I found myself enjoying the view of the distant London skyline from Primrose Hill when I suddenly thought it would be a wonderful opportunity to test out the new panorama mode in iOS 6 on the iPhone 5. This was a very quick panorama, taking about ten seconds to shoot. If you click on the photo below you will see a 50%, 6.3 megapixel (5400 x 1166) version of the shot from the iPhone re-sized in Photoshop and saved with 80% quality in a new browser window (be sure to click on it in the new browser window it if is scaled down to fit initially). If you click on the link at the bottom of this post you can download the original 16MB, 25.2 megapixel (10800 x 2332) image straight from the iPhone 5 for a closer look. I thought this post might be of interest to those interested in seeing how the IOS 6 panorama feature performs. It is interesting to me what a remarkably painless job the iPhone does of capturing panoramas. It takes almost no effort at all and you get rather great results. Admittedly I don’t see this approach replacing the tripod and DSLR approach of the discerning photographer but the iPhone does a very good job. The iPhone shots have the perspective corrected automatically and while the above shot was just a quick test, it could easily be improved in your favourite photo editing software. I have to say I am very impressed. Although the creation of panoramic images is nothing new and it has certainly been getting easier in recent years with the evolution of software such as Photoshop, I can imagine that we will be seeing many more panoramas in the months to come due to the sheer simplicity and accessibiliy offered by iOS 6 devices. Oh and you really should visit Primrose Hill if you haven’t had a chance to do so already as it is rather lovely. I hear that sunrise is particularly spectacular. Download the original file here (right click and save as). I spotted this doll in a bric-a-brac shop in Camden Market, London, UK today. I don’t know about you, but these dolls always freak me out. I think it’s the eyes. I couldn’t resist a shot. As you can probably imagine I was rather excited at the prospect of receiving my brand new iPhone 5 this morning. I managed to pre-order one online on the morning of Friday 14th September and went for an unlocked 16GB black/slate model for £529. It was delivered by courier this morning (Friday 21st September) just before 12pm and just as the reviews and previews I had read indicated, it was indeed a great looking phone. It somehow manages to look infinitely sleeker than its portly cousin the iPhone 4S. 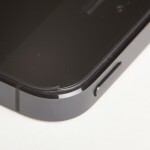 Although it is reportedly only 20% lighter than the 4S it seems a great deal lighter than that when holding it. It almost feels like the dummy models you sometimes see on shop floors, only this is a real, working handset. The weight, or lack of is most certainly a good thing. The screen feels much larger than previous iPhones yet it doesn’t feel oversized like some of the other handsets I have used recently. I am able to reach every area on the screen without having to stretch my thumb awkwardly. I don’t want to turn this into a review of the iPhone 5 but suffice to say I was incredibly pleased with my purchase in almost all respects, all respects that is apart from one very crucial aspect – build quality. Let me provide a little bit of background. For the most part I enjoy using Apple kit. I have a MacBook Pro, iPod, iPad 3 and I’ve owned an iPhone 3G, iPhone 4, iPhone 4S and now an iPhone 5. 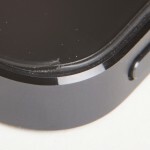 I have always been more than happy with the build quality of the devices I have purchased. Of course it is possible to damage them if you aren’t careful, but I have always felt that they were of a high build quality. Upon initial inspection I naturally thought the same of my new iPhone 5 and indeed I expected no less. This however may have been a somewhat hasty assumption. I have now had the phone approximately eight hours and as you can imagine I have been incredibly careful with it. The phone has been on my desk and in my pocket. It has not been dropped or manhandled in any way, shape or form. 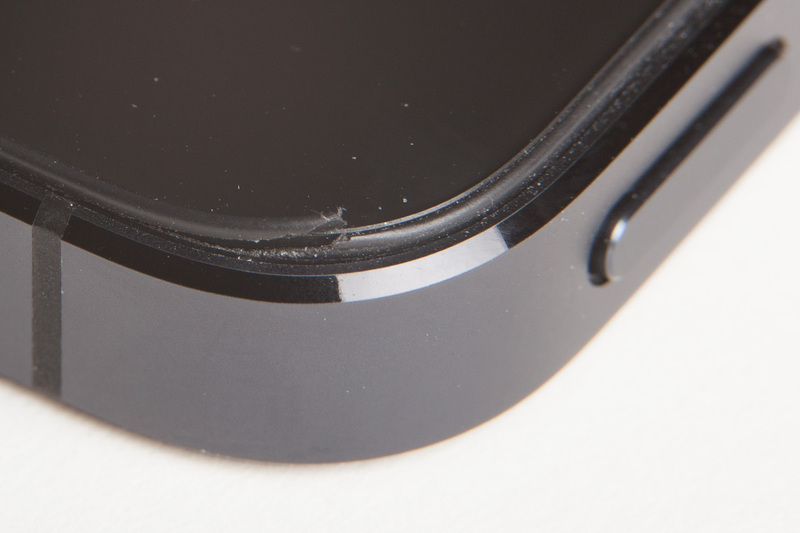 Unfortunately I have already noticed that part of the thin plastic trim that is wrapped around the edge of the screen is actually coming away from the phone. This trim is so thin you would be forgiven for not even realising it was there, but there is a thin bit of black plastic around the edge of the glass. I could easily pull it away from the phone and the whole thing would come off. The problem is you can’t really ignore it because it protrudes from the phone so it is surely just a matter of time before it snags on something and completely snaps off. The phone has literally been in my pocket for a few hours and it’s already starting to come apart – I have never experienced this kind of issue with any of my previous devices. Can you imagine what it will be like in a week from now? A month? A year? My white iPhone 4S still looks like new a year after purchase, yet the iPhone 5 is beginning to look tatty already. I am going to get in touch with Apple and hopefully they will replace it for me. Quite possibly this will be a one off incident and nobody else will experience this kind of defect but I wanted to provide some photos and let you guys know just in case this is the beginning of a trend. I have never had to contact Apple customer service before as I have never had a problem with any of my devices, let alone a brand new iPhone only several hours after taking possession of it. I realise that some products will have defects, that’s just the way it goes. Perhaps I’m simply unlucky this time around – if that’s the case then I will of course understand. I’m not angry with you Apple, I’m just disappointed. You can right-click and download a high res 3993×2661 image here to see the fault in better detail. I spoke to Apple after sales this morning who were extremely helpful and have agreed to send me a replacement handset as soon as one is available. They have also agreed to arrange the collection of the old handset in such a way that I am not without a phone at any point. This is really great customer service. Hopefully this fault was just a one off issue. My faith in Apple, for the time being at least, has been restored. My replacement iPhone 5 arrived today and is immaculate. The phone arrived much sooner than I was expecting, I had been told there would potentially be a several week wait. 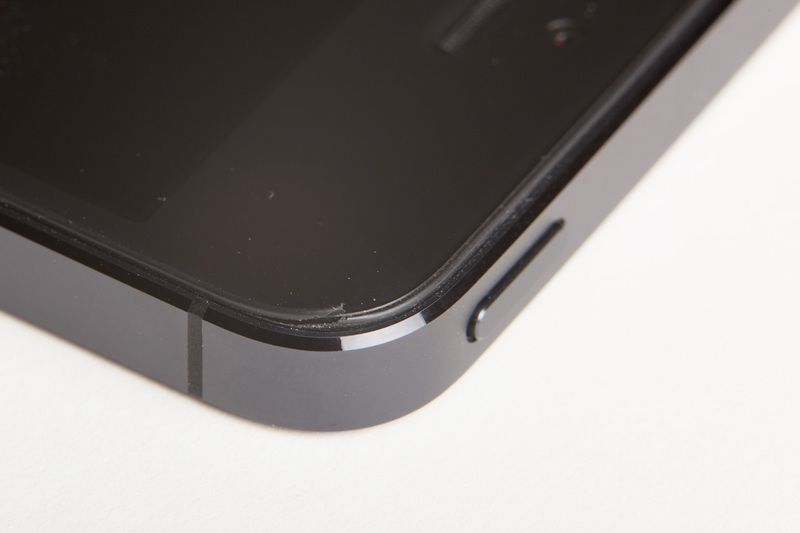 This iPhone 5 certainly doesn’t have the same problem as the one it is replacing. I now just need to arrange a collection of the old handset by the courier. The Apple customer service has been extremely efficient and I am impressed – the customer service representative I spoke to was extremely helpful and I have absolutely no complaints. Fingers crossed this iPhone will be trouble free. A photo of a firework display over Bournemouth Pier, Dorset, UK. An evening shot of sundown at Sandbanks at the end of a beautiful summer weekend. Shot in Sandbanks, Poole, Dorset UK. Another shot of the Bournemouth Eye helium balloon. I have still yet to go up in it! Today we went to the Great Dorset Chilli Festival which was a huge amount of fun. While we were there we were fortunate enough to hear Dave Hum playing some banjo. Today we went to the Great Dorset Chilli Festival which was a huge amount of fun. While there we encountered a Mariachi band which was rather excellent. I’m thoroughly excited by the London Olympics and couldn’t resist an olympic themed photograph. I shall be watching much of the olympics but will have to make do with watching from home as I was unable to get any tickets. A black and white shot of a roaming horse out in the New Forest in Hampshire, England today. I just loved the contrast of the horse against the ice cream van. It seems so out of place.